There are numerous money saving apps for iPhone and Android. Most of the popular apps are related to grocery shopping (Ibotta, Fetch Rewards just to name a few) or online shopping cashback apps such as Ebates and TopCashback. I’d like to introduce you to Coin Out – a new FREE app that allows you to make money from ALL your receipts. Yes, I mean it – ALL the receipts, from ANY store, merchant, gas station, museum, restaurant, coffee shop – ANY place! I saw this app mentioned in a comment in one of the Facebook forums and decided to check it out. Is CoinOut Legit or a scam, I wondered. How does Coin Out work? What is their business model? How does CoinOut make money if they can pay you money for any receipt? I did the research and you can find all the answers below. Here is my full Coin Out review with all the details you need to know before you download it. Rating 😀 😀 😀 😀 😀 9.5 out of 10. Give it a try! Is Coin Out Legit App Or Another Scam? 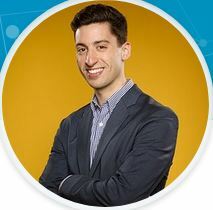 CoinOut was founded by Jeffrey Witten, Columbia University graduate in law and finance. Jeff’s initial idea was to help people who like using cash but hate carrying the change in their wallets. Collecting the coins in some type of piggy bank is not really a solution, as it becomes more and more difficult to find a place that can accept such a big amount of coins without a fee. The second part of the new app was scanning receipts from any store for small cashback. With this idea, Jeffrey participated in Shark Tank show on February 18th, 2018 and made a deal with Robert Herjavec, selling 15% of the equity for $250,000. The deal was mentioned as a great success on several financial websites, like Forbes. Probably, the digital change wallet idea turned out not sustainable, as it is not offered anymore, but CoinOut moved on and focused on the receipt scanning feature, knowing that the users base is a valuable asset that can be leveraged in many different ways. In October 2018 new cash back feature was launched, competing with EBates and similar websites. The company is in the process of development and is constantly adding new offers and ways to make money. CoinOut’s rating in the iTunes store is 4.7 based on more than 3,100 reviews. It’s an absolutely free and legit app. How Does Coin Out Work? Now, let me explain to you exactly how does CoinOut work and how to maximize your earnings with this awesome app. First, you need to download the app from the link below. It only takes a few minutes. The next step will be to provide the required information and get the verification code in the text message. You see how simple and clean it is? You can manage your settings using the icon in the top left corner. What Receipts Are Accepted By Coin Out? Coin Out accepts almost ALL the receipts of ANY kind with very few exceptions (see in the next section). The only requirement is for the receipt to show the date of the transaction, the store name, the total amount and line items with prices. The scanned picture must be clear and readable for the app to process the receipt. Your scanned receipts can be found later in the app, just in case you need them for any reason. What Receipts Are NOT Accepted By Coin Out? In addition, any doubled receipts wouldn’t get cash back. How To Scan Receipts With Coin Out? You only can take one picture of your receipt. If it’s too long to fit one shot, just fold it in a way that keeps the important information showing up. From my experience, this app is the fastest for scanning, as you only make one shot and you don’t need to answer any additional questions. Just a few seconds after you scan the receipt, you see how much you have earned. Super fast and simple. If you have any e-receipts from online shopping, you can get cashback on them as well. Just forward the receipt to receipts@coinout.com and add your mobile number in the text. Make sure you send the email the SAME day of the purchase, otherwise you won’t get any credit. In addition to scanning receipts, Coin Out offers other fun ways to earn money. To learn more, you can sign up for “Earn More CoinOut” newsletter or check the “Coupons” section in the app and see the updated offers and bonuses. In October 2018, Coin Out added a new feature – cash back for online shopping at selected stores. The main offer is up to 11% cash back at Walmart. I’m sure more offers will come soon. How is it different from other sites like TopCashback and Ebates? Coin Out promises to get better rates. My advice is to check several cashback sites before making a purchase. Related post: How to Save on Online shopping? These are bonuses granted daily to randomly selected uploaded receipts. 1. The badge for Special Trivia game. 2. +$1 Badge that can be activated when your balance is over$20. Activate and get a $1 bonus. 3. VIP Badge gives unlimited withdrawals for 1 week if you complete 2 CoinOut online cash back transactions. 4. 2x Cash Back Badge. Get double in-store receipt bonuses for 1 week once you complete any CoinOut online transaction. There is also a +4 receipt badge that gives you 4 extra receipts per day for one week. CoinOut is very creative and frequently adds new fun badges. Upload a receipt from a featured store or type of merchant (for example, pharmacy or coffee shop) and get an entry into the Friday giveaway. You can follow Coin Out social media accounts (Facebook, Instagram, and Twitter), check for the news and comment on specific posts for a chance to win Friday giveaway. Coin Out runs weekly Trivia contests with $150-$200 pot to be split between the winners. The bonus is added on Fridays. Coin Out cooperates with other companies, like Stash Investment and Chime Bank, and offers special bonuses for the users who sign up for the partner’s offers. You’ll be able to see these offers in the app or in the Newsletter. You can get your personal referral link through “Share and Earn” button in the app or share the app with your friends via Facebook, Twitter or email. The referral bonus is currently $1. Actually, it was only $0.5 when I just started with this app, then went up to $0.75 and now $1. It’s nice to see an app that raises the bonus. How Much Money Can You Make With CoinOut? It’s not going to replace your regular job, of course, but for many people, as for myself, every dollar counts. Why not get a few bucks with a fun and almost effortless app? You can upload several receipts every day, there is no official limit, but the company says it can vary from daily. The amount of cash back per single receipt is also unknown up front. The CoinOut policy is to set up a daily range of minimum and maximum amounts and then draw a random number from this range for each uploaded receipt. The amount doesn’t depend on the store, total balance or other data from the receipt. From my personal experience, the cashback for a single receipt is usually between $0.01 to $0.20. Your total earnings will depend on how many receipts you have and manage to upload. You have 3 payout options with CoinOut: Direct deposit into your bank account, PayPal and Amazon Gift Card. The minimum amount is $10 for PayPal. No minimum for the other two options. As this is a new app, I’d recommend to cash out frequently and not accumulate large amounts in your account. Unfortunately, there is no guarantee that the app will be proven as a long-lasting success. It happened in the past, that even very promising apps had to shut down. Enjoy CoinOut, but better keep your money close. Coin Out Security – Is it safe to use CoinOut? When you open an account, Coin Out uses multi-factor verification, including 6-digit code sent as a text message to your registered mobile phone. The funds in your account are held by Coin Out at an FDIC insured bank account. The funds never expire. The company doesn’t retain any personal identifiable information. As it’s a relatively new app, it happens that a new version has technical issues after app’s upgrade. I’ve read in the CoinOut users Facebook group that the app can be suddenly stuck with a black screen or produce blurry screenshots. Sometimes the receipts are not processed immediately and you need to rescan several times. Personally, I didn’t encounter any issue during the time I use the app. How Does CoinOut Make Money? 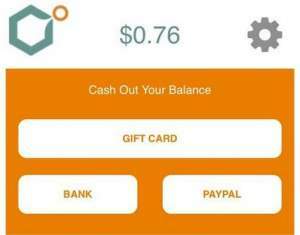 How can Coin Out afford to pay cash back for any receipt and stay a completely free app? My understanding is that the current business model of Coin Out is to partner with several companies and offer their services to Coin Out users. I assume that these partners pay for the referrals and may also refer their clients to Coin Out. If you have any issue, you can contact support@coinout.com. I’ve got a prompt and helpful response from the support team every time I’ve asked a question. CoinOut is a FREE, easy to use and legitimate app that allows you to scan any receipt and get paid. It works fast and provides even more fun ways to make money. I think Coin Out App is moving in the right direction and will add more interesting features in the future. It’s worth getting it now so you’ll be able to check the new offers as soon as they are added. Feel free to share this post with your friends on social media – let them know about CoinOut and join the fun. Fetch Rewards – Get cash back for Any grocery store receipts and for purchasing participating brands. How to get a discount on Amazon Prime? What is your favorite money saving app? I’ll be glad to hear from you in the comments below. Are you interested to learn how to start a business online and create an income from your passion? You can start for free and learn it step by step from the Best Online Marketing University. This is where I started this website, without knowing anything about coding. You can do it too. My name is Mary and I'm the owner of MoCash For You. I’ve never heard of this app before, thanks for the info. I like to use checkout 51 to get cash back on my groceries. Coinout is a relatively new app, so many people are still not aware of it. I use Checkout51 as well, along with Ibotta, Fetch Rewards and Makeena. The more the merrier, right? Every penny counts! I understand your concerns. Let’s see how I can help to answer them. At the very beginning, the app was designed as digital change wallet, but later this feature was abandoned. It’s just part of the history of Coinout now. Doubled receipts mean that you only can scan each receipt once. Scanning the same one two times won’t get you credit. There is no PayPal fee here (maybe it’s paid by Coinout itself, but not by the user). I’ve got exactly the amount I saw on my account. Earning money is faster if you use some of the offers or refer friends, in addition to scanning your receipts. Thanks for such a detailed information on Coin Out App. I have not heard of this coinout app before and it’s look so fantastic. I’m glad I read this. I like that fact that is very simple and another way to earn extra. We are not to waste dollar, for every dollars counts.Thank you once again! I’m happy that you liked my CoinOut review. It’s a really cool app, easy to use and nice extra money. Who says No to some more money, right? Hello. I have not heard of this app. It seems like a good one. I have always wanted to be one of those who did the coupon savings. I have seen a lot of lady’s save a ton. It looks like a pretty low pay back. It is a start app, that makes me nervous. With all the stealing identity stuff. I hesitate to put my personal info out there. I really enjoyed reading all of this post. It brings some thinking to my mind on making money. I found this very interesting and good information. I also felt that you covered a lot of the questions I had as I read. I would think of a question, then as I kept reading, you would answer it. So, great job with covering all the information. I’m glad my review helped you to learn about Coinout and how it works. This app only asks for your phone number and I’ve never got spam to my phone from them, so it’s fine from a security point. You’ll need to give your PayPal email to withdraw the money. You are right – there are no risks with CoinOut and it’s not a scam. I’ve cashed out 3 times already and didn’t have any issues. So now I’m ok accumulating bigger amounts like 20-30 dollars. Try it. Every penny counts, right? Wow, this is really interesting. This app is one of a kind because I’ve heard of several cash out the app but none is better compared to this. 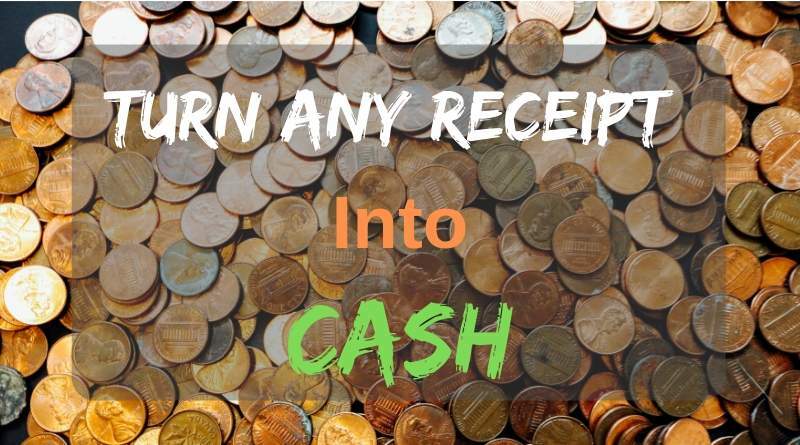 With this app now it means that all my receipts can be turned into cash without stress. I am going to check this app out and come back for testimony if proven worthy. Thank you for this wonderful review. Good job. 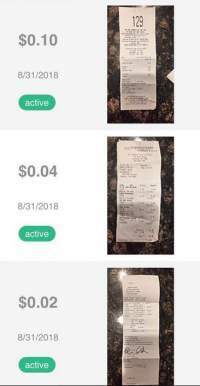 You are right that there are several receipt scanning apps like Ibotta (here is a Ibotta review), Fetch Rewards ( have a review of it as well) and more. The unique point of CoinOut is that it’s really accepting ANY receipt, like no one else. Plus they offer more fun earning options and make improvements all the time. I’m excited to see more new features of Coin out in the future. Wow I actually do a ton of research on these types of apps and haven’t ever heard of Coin Out. That being said, this sounds like an excellent app and the fact that ALL receipts are accepted is a huge attraction for me personally. I live in a fairly small town and my grocery store and hardware store are typically not accepted by many of the other apps. I went ahead and downloaded the app and so far I love it! Already made $5 and it was so easy! Interesting point of view about small towns without big grocery chain stores. Coinout accepts any receipts, so it is an advantage vs.Ibotta or Checkout51. I’m happy you are making quick progress. It’s possible to make money with Coinout if you remember to keep and scan every possible receipt. That was a great review on coin out app. I’m always looking for ways to make money online in my spare time and I have heard of Coin Out and assumed that it was a scam! But after reading your review and actually checking it out, it actually looks like a cool app to make extra dough!Thanks ! And I guess it really is best to not jump to conclusions. Thanks for sharing this article. Why would it be a scam? I guess you thought so because it’s hard to understand why anyone will just give you money for scanning receipts, right? But Coinout makes money by selling aggregated market data and using partners offers. Does it make sense now? Sometimes it’s worth checking and not labeling something as a scam. I love Coin out and hope you will too. What a neat little app! I have never heard of this before, but I think I am going to give it a go! We seem to be always buying stuff because we have two kiddos and it would be neat to get a little cash back for all that we spend! Can two accounts be on the same one? Like could my husband have it on his phone, and me have it on mine connected to the same account so we can maximize our return? I really appreciate your honest review, and I look forward to checking out more of your site! Thank you for the questions. One account can be associated only with one phone number. You can have separate accounts, one for you, one for your husband. Each receipt can be scanned only once, don’t duplicate. But having two accounts will allow you to scan more receipts every day, as recently the limit is around 5 per day. It’s ok for me, as I don’t have more than 35 receipts per week, but some people might get more, for example, if they scan coffee shop (Starbucks, DD’s, McDonalds..) receipts. The idea behind coin out is really impressive. Though it cannot replace your job, it offers a way to get a little extra cash for the money you spend. Since it’s a free app, and I m giving out receipts i normally dispose, I’m willing to give it a try. In the end, I’ve got nothing to lose and all to gain. I hope the coin out app stays productive for a while. Looks like the app is here to stay! Since I first downloaded it, many new features and offers have been added, making it more fun and bringing higher earning potential. I even won $20 myself, just for leaving a comment on a Coinout fun’s page on Facebook. Thanks for this review of Coin Out! I had not heard of this particular app, but after reading your review it does seem intriguing. I think you are right to give caution about this being a new app and not waiting too long before cashing out. It is always a little unnerving when you have the prospect that it could be here today and gone tomorrow while your funds are locked up in it! Perhaps I will wait a little while longer to make sure it will have some longevity and so any bugs that need fixing can be addressed. I’ve cashed out three times since I wrote this review. The money was transferred to my PayPal as promised, without any issues. Now I feel comfortable to accumulate about $20-$30 every time. The app keeps adding new offers and just becomes more and more fun, so my recommendation is growing stronger. There are barely any bugs and the Support team is just awesome! This looks like a very good app. Something that would add value to people’s lives. The best part is that the accumulated money can be cashed out very easily. I see this company going far, it’s offering a better version of what these other cash back companies are and are very committed to giving better rates. As long as their app remains easy to use and rates are competitive, I see them giving all these older cash back companies a run for their money. Being honest here, I always check several cash back sites for the highest rates before making a purchase. Usually, the winner is TopCashback site (read a review here). But sometimes, there are surprises as well. For example, Acorns Found money gave me the best rate for Airbnb booking. CoinOut is a rising star, so I would include them in your savings toolbox. I love to see how they grow and add more fun for the users. I’m so sad to hear you were scammed. Do you remember the apps names? I can write about them and warn people. With Coinout you can be sure it’s not a scam. I’ve cashed out 3 times already and it worked smoothly. Please come back to tell your experience with it. Thank you, Mary, for sharing this with all. This is somewhat new to me and quite helpful tooI. I like the fact that the app is fast as regards scanning, and that you don’t need to answer additional questions. The promotions and the referral program are an added advantage, as regards making a few extra bucks. Thanks for sharing this, information is truly power! I’m glad you love the features of CoinOut. It’s really simple and fast app and you can make some money from any receipt. Every penny counts. Informative article on coin out app you post there. This is my first time of hearing the name coin out app, looking at your review on it, giving it a try will not be a bad idea. And I am sure it is going to be interesting since it’s a free app that allows making money from all your receipts. Thank you for visiting. It’s great you have learned something new today. Give it a try. it’s free money, nothing to lose. This is a great review about the Coin Out app. I have heard about the app but I never know how it works until I read from your article. The best part is the scanning of receipts from any store for small cashback. I think am going to give it a try based on your recommendation. Excellent writeup, really helpful and informative. Keep up the good work. Thank you for your kind words. Yes, I really like that Coinout accepts any receipt. Other apps limit you to certain types of receipts, like grocery only. This is just interesting. I wonder how this very app generates revenue simply by scanning receipts. How do they really generate their revenues? Well be it as it may, it is good to have this app. It is good to make money from the receipts you have used long ago and still use the money to purchase more things and get more receipts. Coinout makes money by promoting their partner’s offers and by selling the aggregated consumer data (not any personal data). I’m actually impressed by their ability to add new partnerships and offers all the time. Just recently, they added the “Savings” button that offers great saving accounts. The number of available retailers for cash back is also growing. Try it and tell me what do you think. I resisted Ebates for such a long time, thinking it was a hoax…. I’m not gonna do that this time. I’m checking it out NOW! 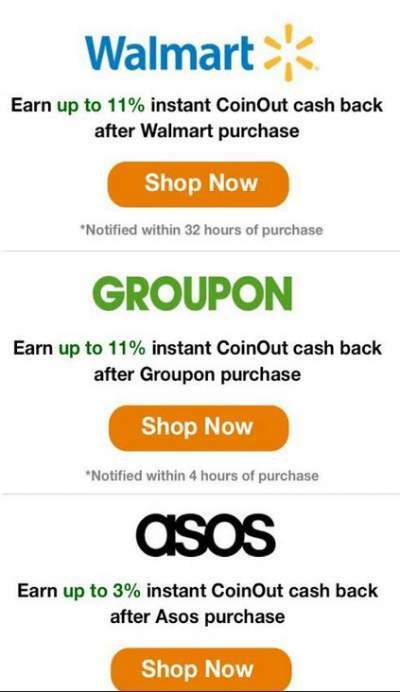 Coin Out is competing with Ebates in the cash back area, so you’d better compare the rates before making a purchase. However receipts scanning is not covered by Ebates, so there is no problem to use both apps. This is really an exceptional earning method in your article about coin out App. I would not even know it if I did not read your article. However I have tried to install it in my android device and got a message that this is not supported in your area. This is fully different than most of the application out there. I am always looking for a way to earn extra money but it may not helps me in my area. I am going to read your other article also. I’m not sure where are you from. Coin Out only works in the US. Hi Mary! That’s really cool we can make money from all our receipts! And it seems quite simple. I like the fact we can cash out with PayPal. And the minimum cash out amount of $2.5USD is quite low. Earning between $0.01 to $0.20 for every single receipt sounds nice. Especially because all we need to do is scan the receipt. I’ll give it a try! Thank you for this review. Using Coin out really is simple! Give it a try and tell us how it is working for you. What an exciting app! I’ve known about Ebates for years in fact I was one of the first people I knew that knew about Ebates. I usually keep my ear to the ground about apps like this somehow I completely missed this app! I’ll have to download it and give it a try. By the way did you hear there’s a new crypto app that’s coming out that’s kind of doing this? I use Ebates sometimes as well, however I prefer TopCashback that usually has higher rates. Try Coin Out and feel free to share your feedback. I have not heard this before you share this information! I couldn’t imagine even the receipts can be one of the tools to earn some extra money. But I wonder if this could also work outside the United State? For example, in Asian countries? Unfortunately, Coin out doesn’t work outside of the US, as of now. Who knows, maybe in the future.. Coin Out sounds awesome Mary! You have a good point comparing scanning receipts to surveys. Scanning is much faster and you are sure going to get some money. Surveys frequently disqualify you. Ive always felt like there should be a way to make money from receipts! They just sit in your purse or on your table counter just in the way or not being used! So why shouldn’t they make us money considering we spent money to get them! I’m getting this app for sure! There are many great apps that scan the receipts and give you money. Check out Fetch Rewards, Ibotta and others I’ve mentioned in the post. With all these apps you can easily make more than $10 per month. I do remember seeing this on Shark Tank. I guess it didnt quite work out but still seems to be doing okay. What I like about this is that you can keep all your receipts from the day and do a one time download each day. I really think this is something I would like to get my wife to do. Any extra dollars these days surely does help. Could I ask what is the most you have heard of anyone earning? However, recent addition of cash back from several retailers makes earnings faster. Personally, I upload receipts, play Trivia and sometimes refer people. Not my main source of income LOL, but nice to add from time to time. Thank you for reading and asking questions. Thanks for such a comprehensive and informative article! I agree with you that every dollar counts and the beauty of what you are saying is that we get receipts anyway, so this is money for jam (so to speak…and literally!). I was wondering if you could answer a couple of questions. Firstly, do you have a view for what the average household can earn each month? I imagine the key here is the female as, without being sexist, I have been taught that the lady of the house accounts for 85% of household purchases. Secondly, do you know which countries the app is available in? Specifcally, can it be used in Australia? How much money can you make? Depends on how many receipts you have. Some people buy coffee or visit McDonalds several times a day. I don’t. You also can collect receipts from family, friends or any place you see them and upload. But receipts are not the only way to make money with CoinOut. They recently added new cash back section with some popular retailers like Walmart. I also like their Trivia challenges for more money every week. It’s available in the US only, as of now. That’s pretty amazing that you can scan any receipt. That’s really different than most of the apps out there. I am always looking for ways to save money or earn extra money, which is why I love your site! Great information all the time. Now this! Wow, where do you find this stuff? I mean, it definitely doesn’t pay a fortune, but money is money, and I’m signing up!! Thanks so much!! 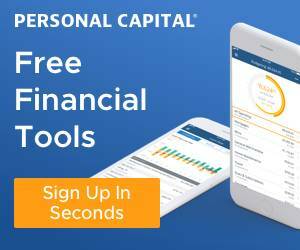 That’s one of the benefits of being in the personal finance and saving niche – you find more and more saving tools every day. Hi, I really like this article. I may even download it myself. Do you still use it or other receipt scanners? I personally haven’t tried anything like this, but was looking into stuff similar so I could get a little money back while I am not working. I think you have sold me on this. from what you have said it sounds very trustworthy, and even though it isn’t big money back, every penny counts in my book. You can scan the same receipt with multiple apps – why not? wow excellent! it is my first time to hear about Coin Out app. The app seems to be fantastic but i have some question. -is this app applicable all over the world? -What is the benefits of the app owner? Thank you for sharing this great review and i hope i get answers to those short questions. The app is available in the US only, as of now. Coinout owners want to make money, I guess :). Either from their partners or from selling the company at some point. This is interesting. I had no idea that a comprehensive rebate system was out there. Seems to me that there’s also a wide variety of possible results–from your own (of 1 to 20 cents per receipt) to earning rebates on PayPal of at least 2 and a half dollars. Based on this, I can see the draw. At first, I was concerned about security, but then I saw how you addressed my fears; I like the multi-factor verification process that they invoke, to ensure my identity and my funds are kept safe. I also like what you said about how CoinOut makes money, because at first it didn’t make much sense to me. 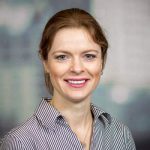 To hear that they partner with other companies, while offering their services, seems like a good way to ensure that everybody wins–buyers, sellers, and CoinOut themselves. Thanks for enlightening me on this service. It started from the 1-20 cents per receipt. 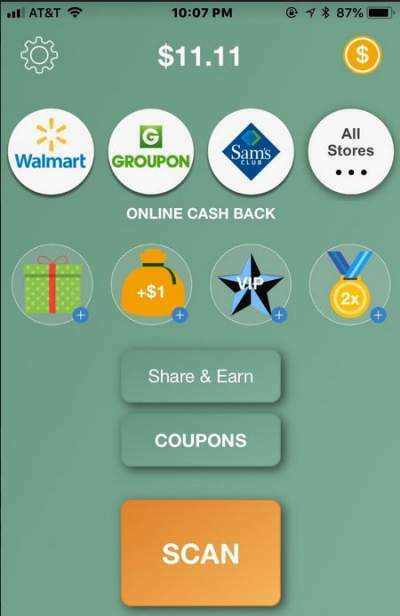 Recently they added cash back rewards for shopping with Walmart, Hotels, Ebags and other retailers. This way you can earn much faster. It’s a simple and fun app. This is something new to me, but I found your article very interesting and I have downloaded the app. I will try and see how much money I can earn with it. A dollar saved is a dollar earned right? I am curious to know how long did it take you to accumulate $9.62 with this app, and approximately how many receipts did you scan? in Russian, they say something like “a cent saves a dollar”. Any money you can get is better than zero if there is not too much effort to get it. Coinout is very simple and fast. I scan any receipt I can get from family members. Daily maximum changes every day, can be around 7-12 per day. A large part of my rewards comes from referrals – $0.75 per referral. I’m sure you can recommend it to a couple of friends, right? Mary thanks for this review of the Coin Out App. I had not heard of it before. I’m familiar with money saving apps in Australia and online ways of saving what used to be the lose change and coin in your wallet, now your digital wallet. Currently, Couinout is not available in Australia, but who knows, maybe it will be in the future. The receipts are probably used for some statistics, but I doubt they are really important. Many people scan any receipt they can find, be it their own, from a friend or found on the mall’s floor. Thank you. I downloaded it while I was reading the article! I haven’t a receipt to scan or I would have already tried it out! I had previously downloaded Fetch Rewards from your suggestion and that app works beautifully, too! Thank you, Mary! Every little bit we can save or earn helps! So far, my favorite is Fetch Rewards as I have earned almost $10 just by scanning all my receipts. I’m sure you’ll like CoinOut as well. For other readers who might not know what do you mean – here is the full review of FetchRewards. 2. Customer base – having a large email list or customer base, the app owners hope to “make an exit” by selling the whole app to some large firm who will make use of this base. I loved the article. It’s such a great opportunity to never waste a dollar! Every dollar counts. Thank you for all the insights, I truly appreciate it! Every penny counts! In Russian, they say something like “a penny saves a dollar”. Thanks, Mariah. This video keeps disappearing. I added a similar one again. Hope it will stay. I just stumbled this app, then I Googled what is coin out app, and found your post. This article explains everything and I feel confident now in using it. I think its a great idea to make savings as you shop as many times you don’t notice what is the best product to buy to do so. There are many apps online that promise savings but the coin out app seems to have that little bit more for your buck! Thank you Mary for your research and now I am off to do some shopping with this app – wish me luck. Many people know how to get cash back for online shopping. (By the way, my favorite site for this is TopCashback). However, few people use apps to get cash for their regular shopping receipts. I’m glad now you know you can trust Coin out, as it’s a legit and fun app. Hi Mary, that looks to be an interesting app. You detail it very well and it’s just a pity i’m not in the USA to take advantage. Best of luck with it though. I just downloaded the app and scanned my first receipt. Thanks for the app, now I can get paid for the paper in my wallet. I would like to see a small description at the top to know what the first couple of links are for. Thank you for your feedback, I’ll try to make it easier to understand. Dang Mary, this is awesome, I just scanned 6 receipts, so I am on my way to early retirement!! LOL, okay maybe not, but it’s pretty cool. I do have one question. We shop at Sprouts here in Arizona and the receipts are printed on both sides of the paper. Will this be an issue, or is there a special way to scan? Thanks for pointing this app out, so far I love it. Well, we are not going to get rich from this, but I see it like finding nickels on the floor every day. Why not pick them up? To your question – you need to have some basic information like store logo, date and total scanned. Try to fold the receipt to make it visible. Another option is sending an email to the CoinOut support team. They are super quick and helpful. A very interesting app indeed. Great review. My question – the receipts have to be from your personal purchases or can you use those of others? Is it only valid for the USA? Or are there other participating retailers who have locations worldwide? It sounds great – every penny adds up and it is a painless effort to scan some barcodes. As of now, you can upload anyone’s receipt, but in the future, the company might require only family receipts to be used. As of now, it’s only in the US. Every penny adds up indeed. Sometimes you also get bonuses and gifts from Trivia or other activities. Wow, so interesting. Never heard about it. Thanks for the review! This app is a good idea and sounds easy to use. I tried to download it, but unfortunately it’s incompatible with my phone. My phone is probably too outdated! I will see if I can get any of the other similar apps you listed. I’m trying to find out with CoinOut support what is the technical requirement for the phone. What model do you have – iPhone or Android? What OS version? Love it I’m actually going to download it now! free money off something i already have why not? Great content! Great, Jamaar! I’m happy you like this app. It’s really fun and easy way to make an extra income. That was a great review ! 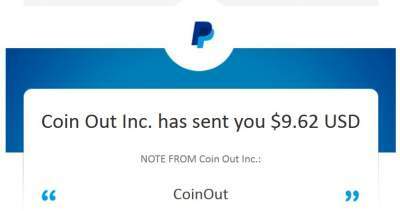 I’m always looking for ways to make money online in my spare time and I had heard of Coin Out and assumed that it was a scam! But after reading your review and actually checking it out, it actually looks like a cool app to make extra dough! Thanks ! And I guess it really is best to not jump to conclusions ! Yes, sometimes our first impression is not correct. When I saw the name of this app in a Facebook group, I thought that maybe it’s also some type of pyramid, as the most of the stuff posted there. But appears it’s legitimate and fun app. I have heard of this app from my coworker and now I cannot wait to get it! Your article is very thorough and you answered all the questions in my head about this app! I appreciate it! I’m glad it’s helpful. You can download CoinOut in a few minutes and test it with any recent receipt.